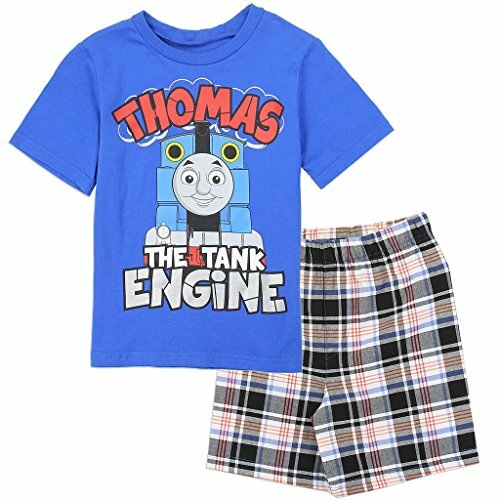 Toddler boys' 2-piece shorts set features Thomas the Tank Engine. Includes a short-sleeve tee and plaid shorts. Top:100% Cotton/Pants:60/40 cotton-poly blend. Machine washable. Imported. If you have any questions about this product by Thomas the Tank and Friends, contact us by completing and submitting the form below. If you are looking for a specif part number, please include it with your message.